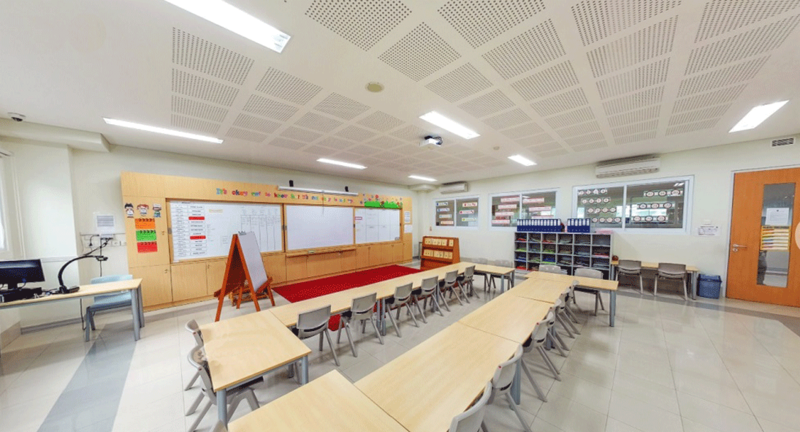 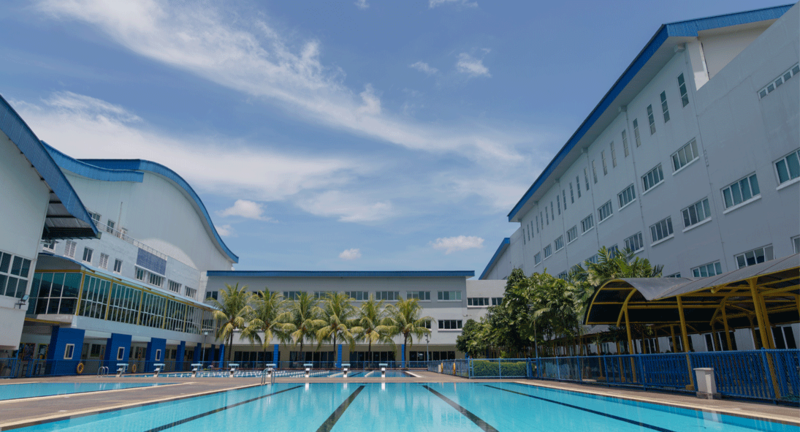 Established initially in Cibubur, East Jakarta in 1996, the School moved to an 8-hectare of holistic environment in Cilangkap where each student is able to emphasize their intellectual, personal, emotional and social growth. 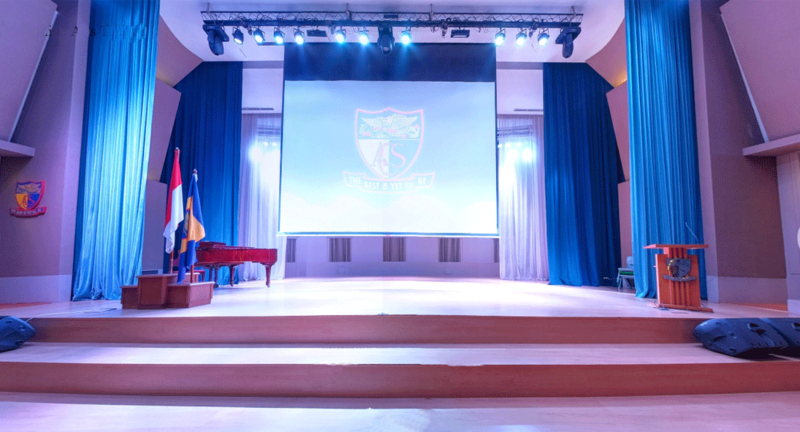 The current campus was opened in 2006, consist of dedicated buildings and facilities for Kindergarten, Primary, Secondary and particular studies such as art, science, music, ICT, language and sport. 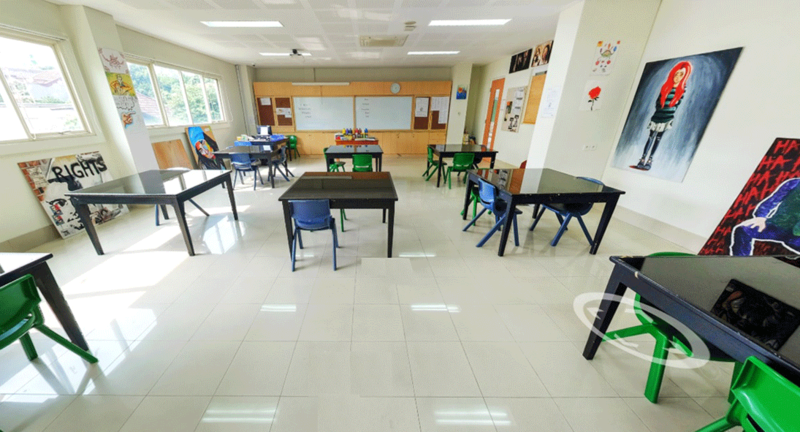 Kindergarten has its own areas with adjoining classrooms, English, math, art, snack room and resource rooms. 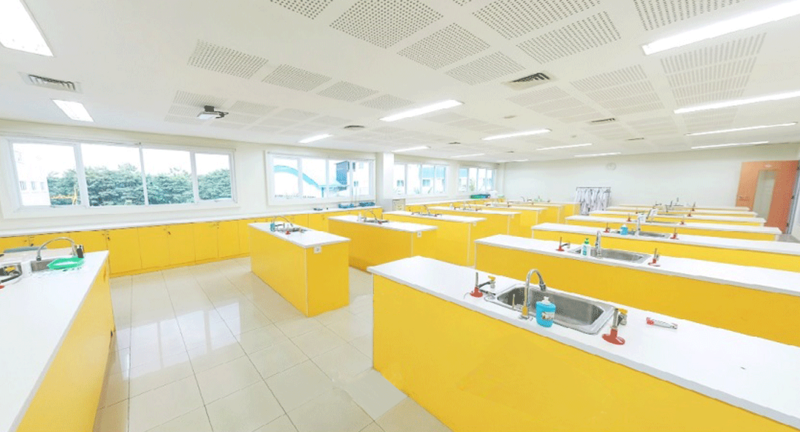 The classrooms are surrounded by playful and reflective spaces, with vibrant and colorful architecture. 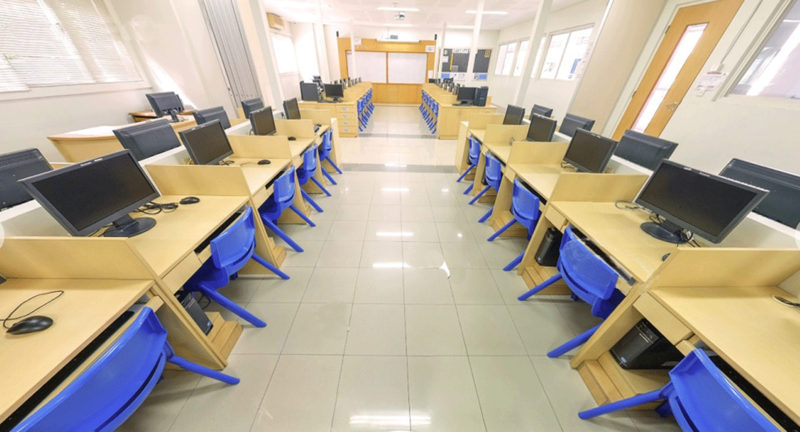 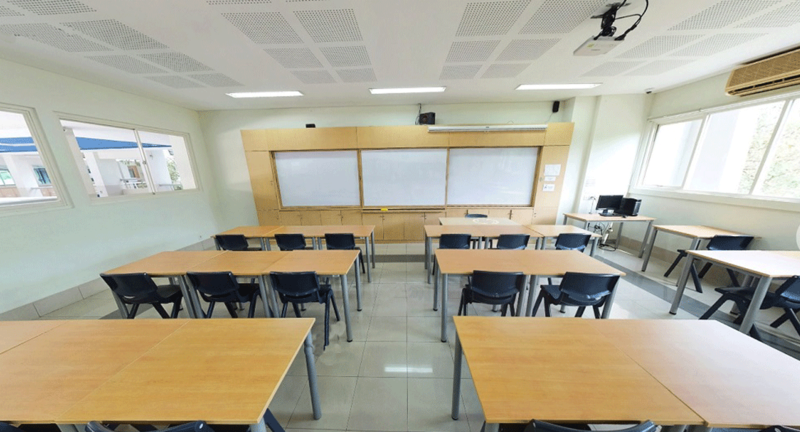 The classroom for primary and secondary school is equipped by air-conditioned and wifi connection. 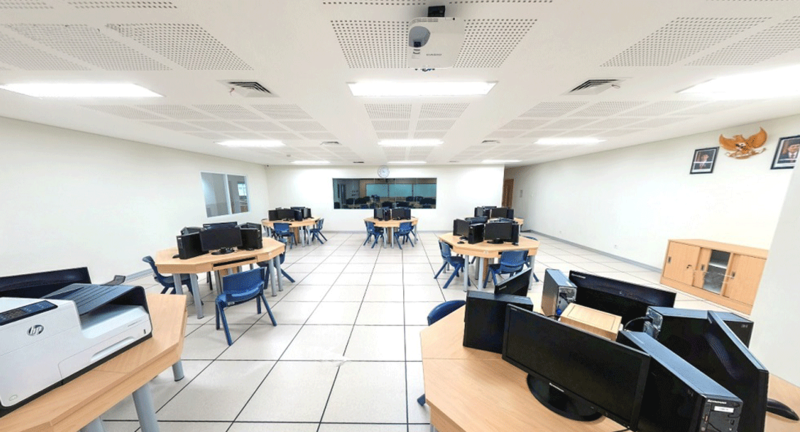 Each school has its own art room, computer lab, science lab, music room, and library. 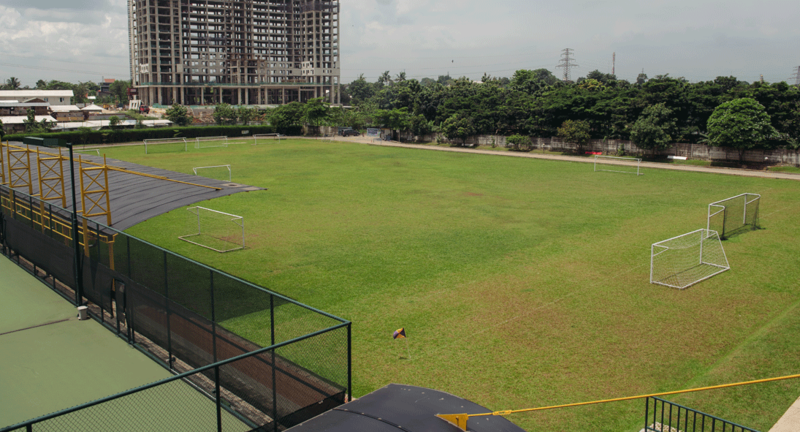 The building itself is surrounded by green common area. 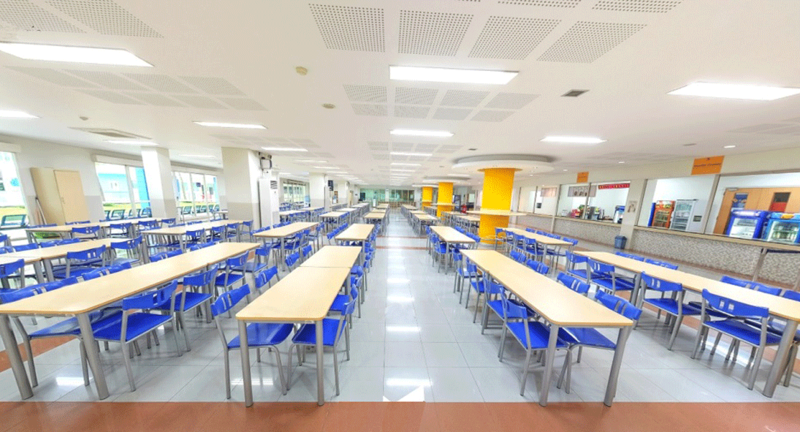 The built environment is open and modern. 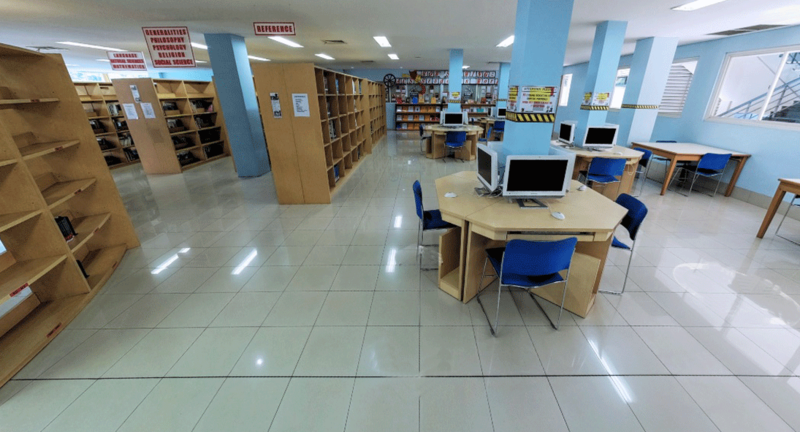 We also have a dedicated IB Common Room, and well-resourced faculty offices nearby to the teaching areas. 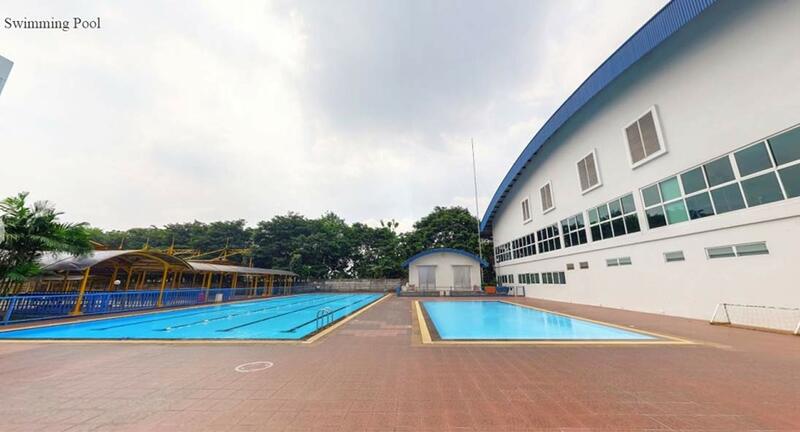 ACS Jakarta is also offering sport facilities as part of co-curricular activities to advance students’ physical potential and spirit of teamwork in house games. 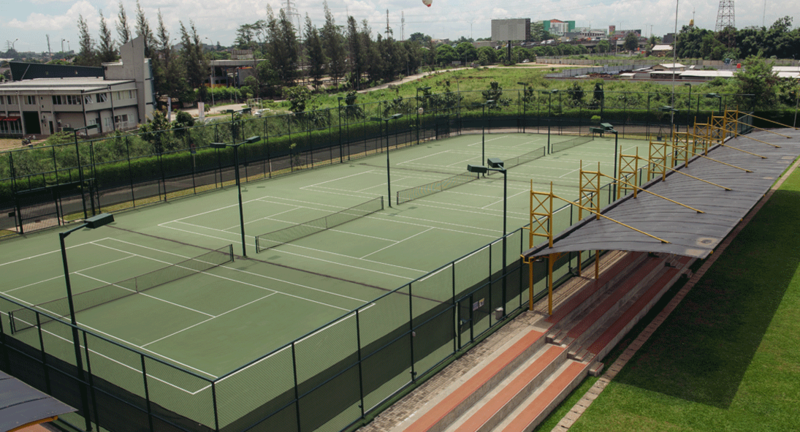 We have five tennis courts, one big soccer field, two small soccer fields, indoor sport hall, and swimming pools. 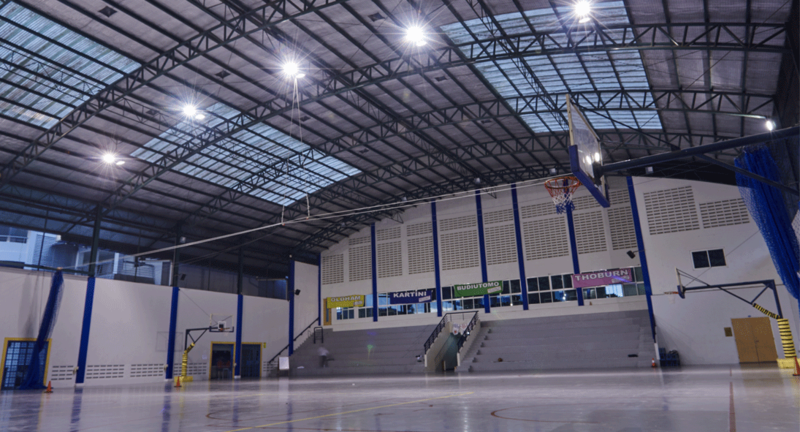 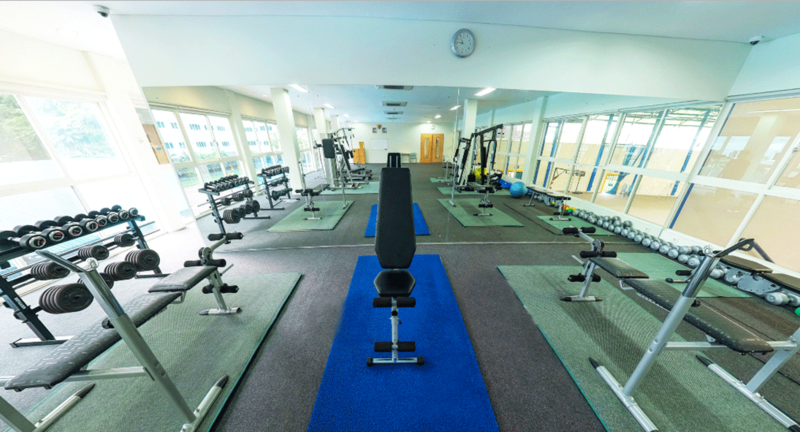 Our sport hall contains 2 basketball courts, 1 volleyball court; a gymnasium and 6 badminton courts. 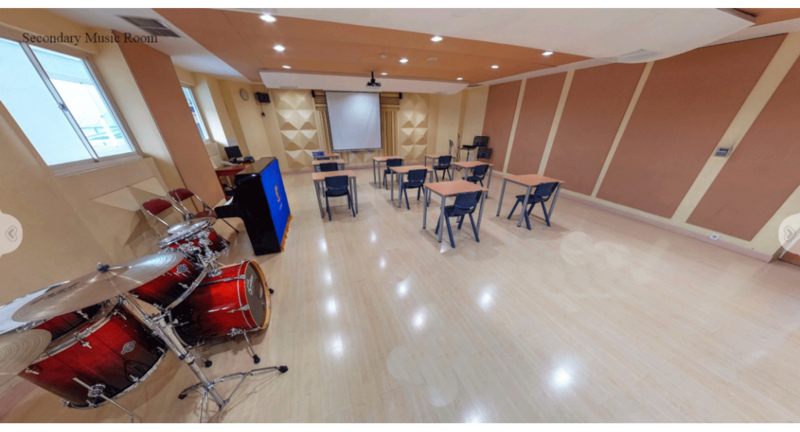 ACS Jakarta provides some supporting facilities to enhance students’ talent and sense of creativity in art, music and performances. 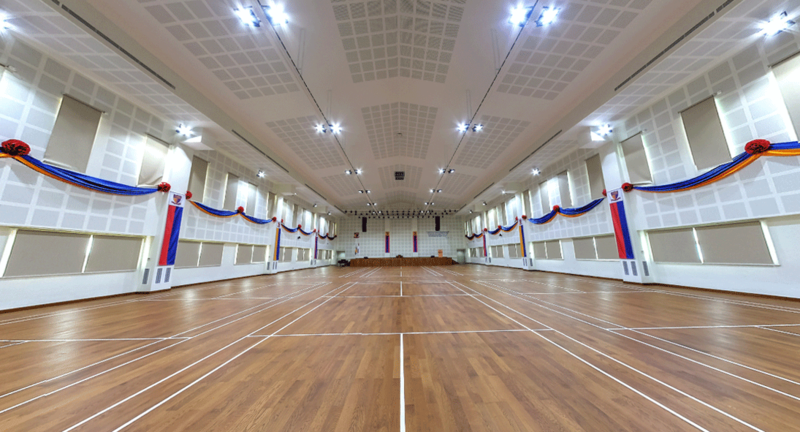 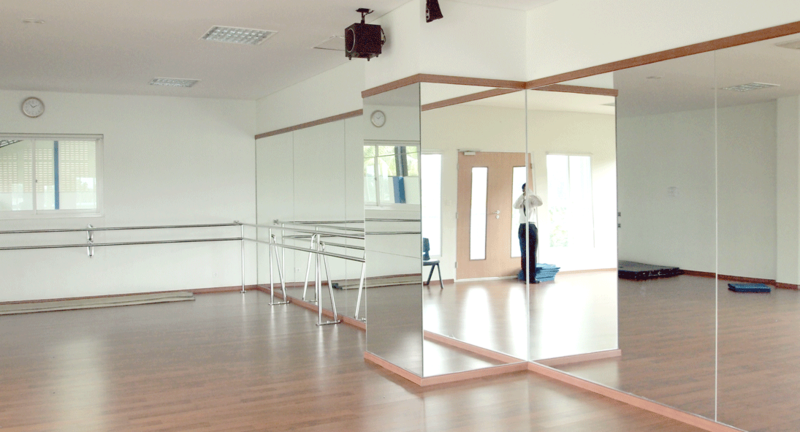 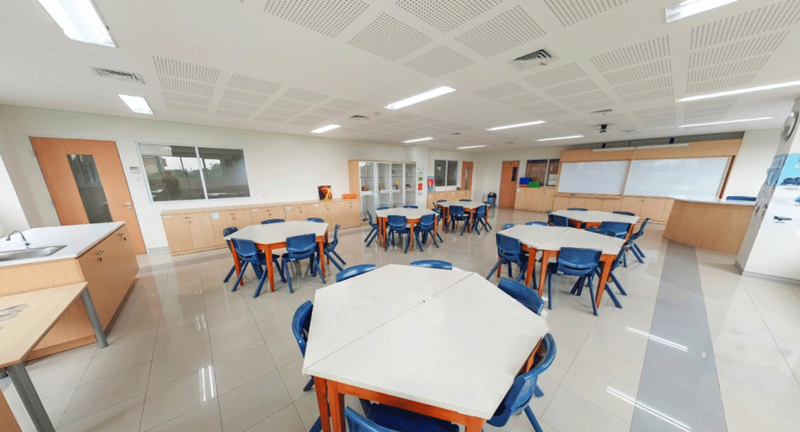 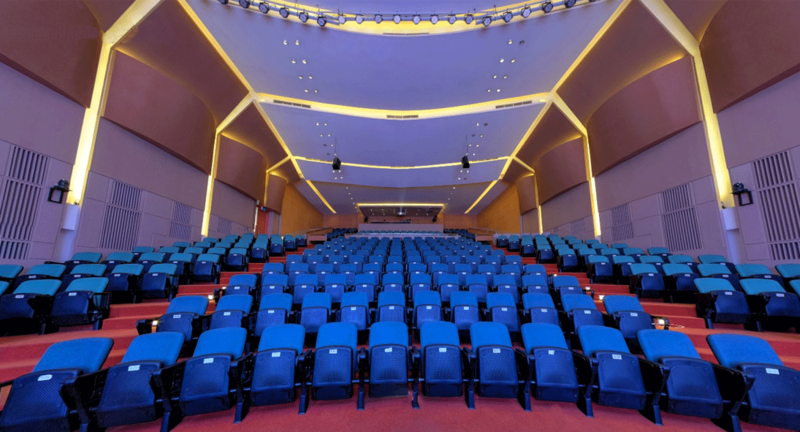 The school encourages students’ creativeness through the Performing Art Theater and Tan Siong Kie Hall with fully equipped by audio visual and multimedia sound system, two dance rooms and 6 music rooms. 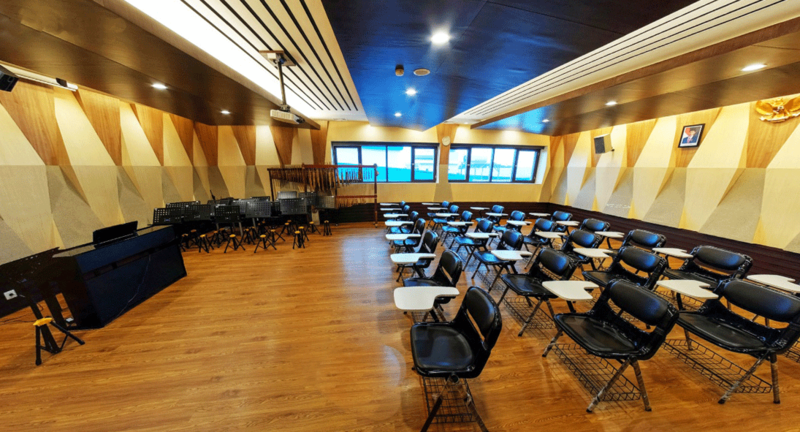 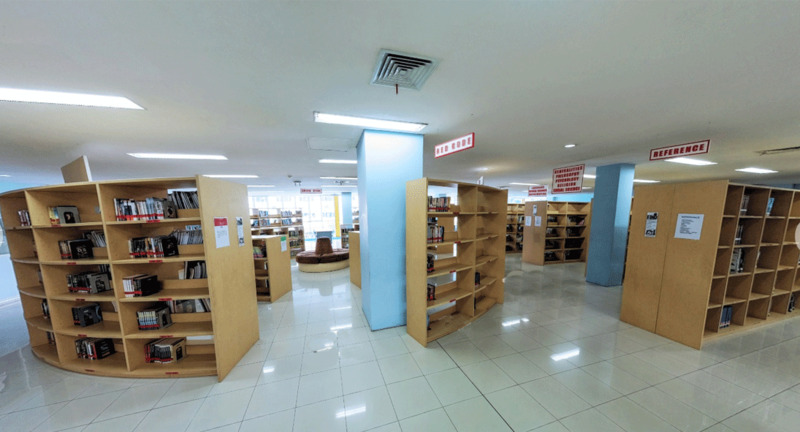 ACS Jakarta also provides clinic with two experienced nurses, cafeteria which consists of 6 food stalls and 1 drink counter that can cater more than 500 students, 1 school shop where students can purchase books, uniform, and stationeries. 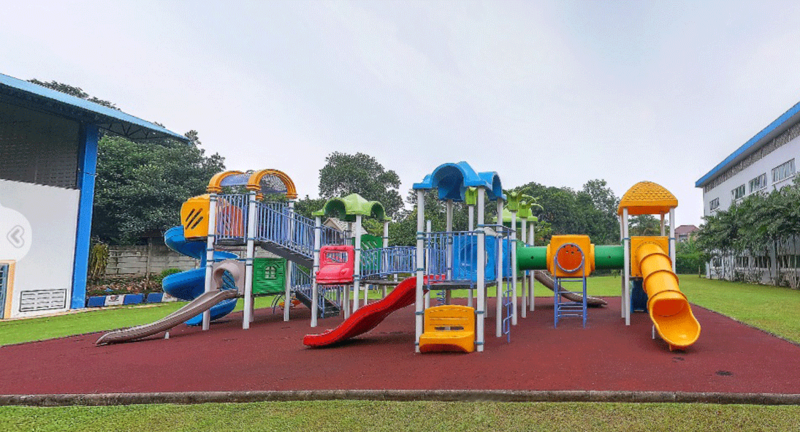 An adventurous playground is build to give an excitement to all kindergarten students which not far from our new green house.